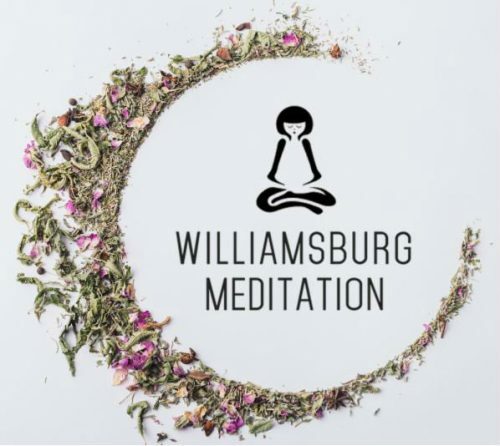 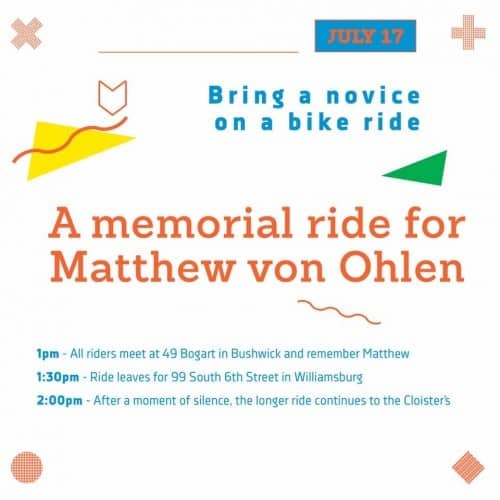 Cyclist Matthew von Ohlen was tragically struck by a motorist on Grand Street in Williamsburg over the July 4th weekend—the vehicle did not stop, and police had reason to believe the driver may have struck him on purpose. 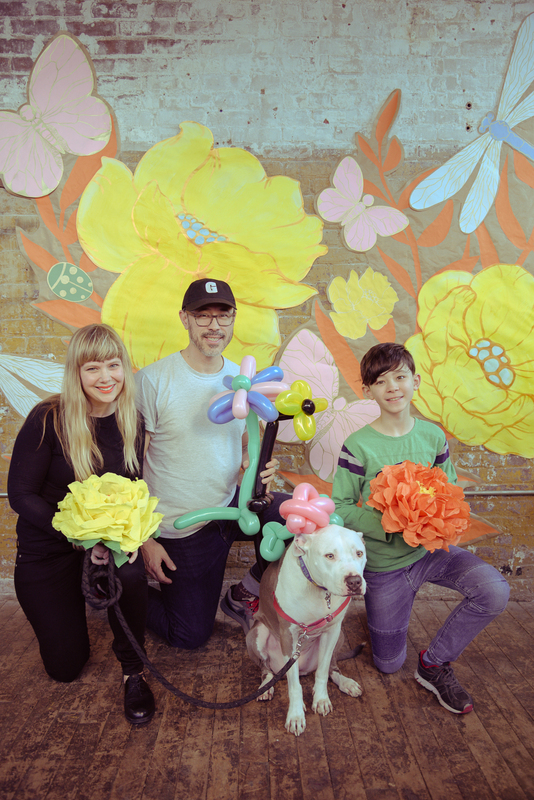 Today there will be a memorial bike ride to celebrate von Ohlen’s life, with a ride intended to further his legacy. Von Ohlen was one of the founders of bike repair vending machine company Bikestock.